The Phoenix Hotel was built in 1887, just 20 years after James Nash discovered gold in Gympie, and was so named after the North Phoenix No. 2 Mine. To this day there are three tunnels under the Hotel, the closest being 100 metres from the surface. 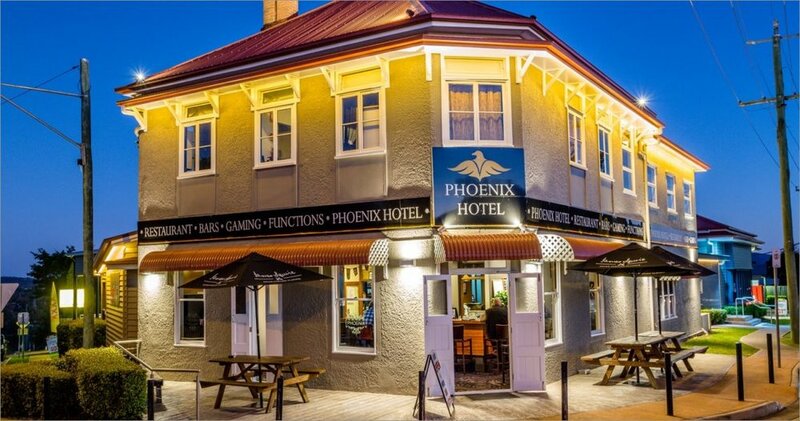 Looking at this beautiful venue in more current times, the Phoenix Hotel is a warm, friendly and tastefully refurbished functions, dining and entertainment venue situated in the heart of the local community. Purchased by the Star Group in 2012 and undergoing renovations in 2014, the Phoenix specialises in quality pub dining and country hospitality. 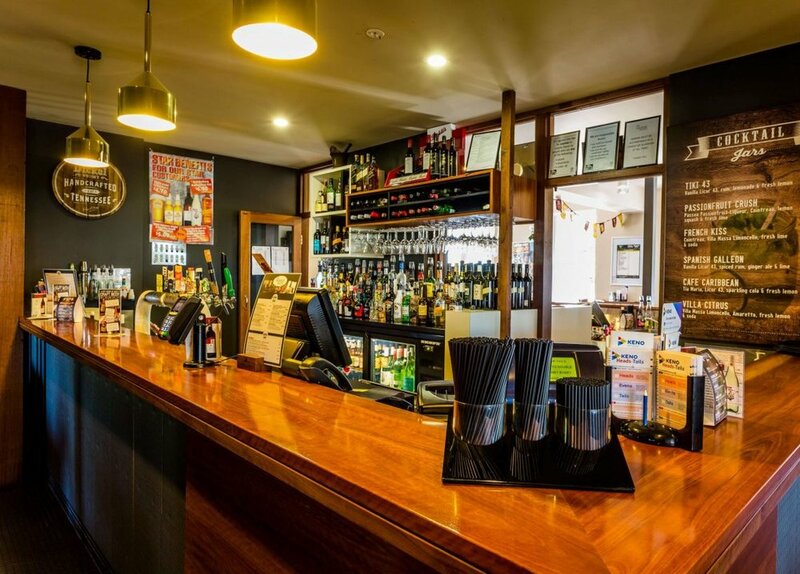 If visiting the beautiful town of Gympie – the Phoenix Hotel is a ‘must do’, being situated on a hilltop looking out over the valley. Stop in for a cold drink and great meal if you’re passing through, or pull up and stay a while. The Phoenix Hotel is the ideal location to dine with family, friends and work colleagues. Dine in the comfort of our fully air-conditioned 140-seat bistro. Select from our modern Australian cuisine menus, fine wine and a range of local and imported craft beers. Visit the Phoenix Hotel on any night to experience a different special on each night of the week! We will not disappoint you! Named after the North Phoenix No. 2 mine, our beautifully furnished for comfortable No. 2 Lounge Bar is the perfect destination for drinks on any occasion. Specialising in boutique beers and simply made cocktails, our range will be suitable and perfect to match that taste of any palette. Our upstairs function room is the perfect location to host your next business conference or private birthday dinner for up to 30 guests. Striving for nothing less than excellence, we aim to deliver perfection, professionalism and personalised service making The Phoenix Hotel the perfect spot for your next function.